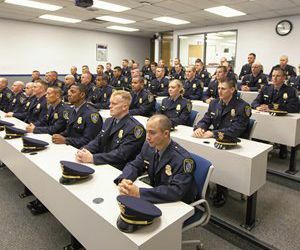 In this month’s Police Grants eNews, Therese Matthews shares how grants can enhance your officer retention strategies and Linda Gilberston breaks down how agencies can effectively manage an awarded grant. 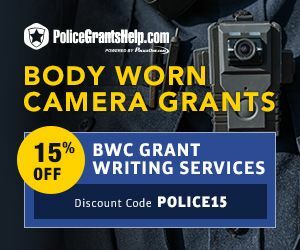 Body Worn Camera grant dollars are still available. With over $22MM in funding out there, be sure you take advantage of expert grant writing help to maximize your odds of an award. Take 15% off with discount code POLICE15, but don't delay. This offer ends March 31. 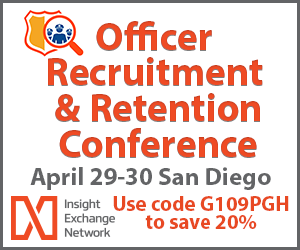 Don’t miss your chance to see the latest tech and learn from the best in public safety. Register for Accelerate 2019 now—prices go up April 15. Our used vehicles are dealer serviced and inspected by Lenco professionals to ensure our quality standards are met.